Imagine a typical WordPress template with an endless number of settings, layouts, backgrounds… such a theme which offers so many options that one can easily get lost in them. Denko Theme is the exact opposite. It’s different. A simple template that will make your content stand out. Even if there is not much of it! Denko follows the hottest trend in the web design! Simplicity instead of complexity. This is the latest trend that affects the way how the websites are built. Designers realized that a simplified and airy design is the right approach that brings the important to the fore. The content-first principle available to the users on a single click, directly from their mobile device, along with the clean design – is the future of websites and applications. The trend of simplicity is the response to those overcomplicated websites with complex UI and many useless functionalities that no one really uses. Denko WordPress Theme offers only what’s most important. Without useless extras. For some projects, you don’t need a thousand variants. If you’re creating presentation for yourself or for your client, there are important features like Portfolio, Testimonials and so on. Any other special features are not needed for such type of a website. 1. Your next website will be created extremely quickly. Less settings = more comfortable and less time-consuming website building. Each available element has its own place which simplifies the entire process of creation. You will never have to think about where to place individual elements or bother about the bunch of useless settings. 2. Each Page will look great. The Design of Denko is developed in such a way so that your website looks eye-catching even with minimal amount of content. How often happens that the designers struggle with getting their clients to provide enough text or images which adversely affects the web design itself and complicates the finalization of the website? This means far greater user experience for your web visitors. 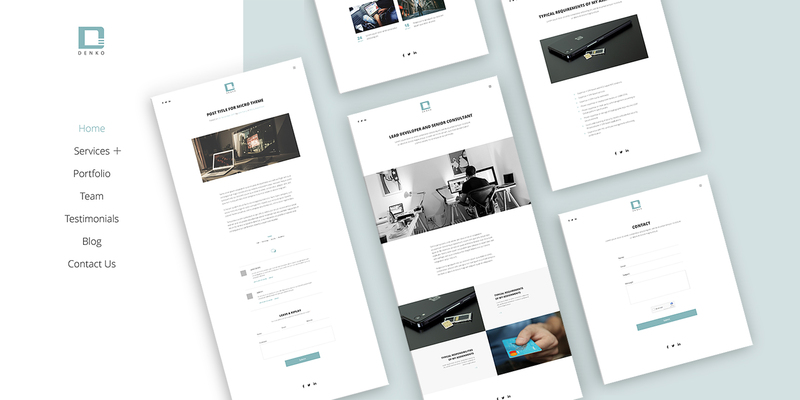 Our new upcoming template is designed for everyone who needs their website to look nice, clean and airy, even when having just a small amount of content. And to be fast. 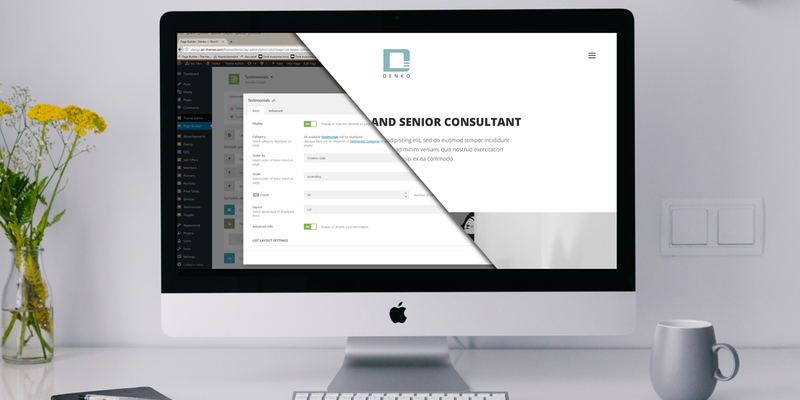 Denko is therefore ideal for business consultants, marketers and developers who want to present themselves and their work. For creative people, freelancers and people working in the online industry. Be different than others! Decide for a trendy theme and let your page stand out with Denko! Denko WordPress Theme will become part of our Full Membership soon. 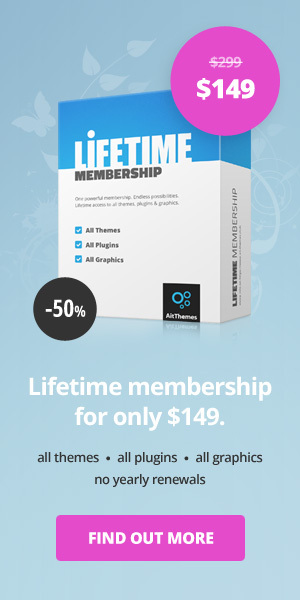 In addition to this theme, you will get another great 69 WordPress themes, including all our plugins and graphics. So join us now! Hi, when will this template be available for download? Denko wordpress theme is going to be released for the market in a 2-3 weeks. Where is the demo site please. Demo is not available for the moment. We should release it in a few days/weeks. Can’t wait to see it go live! I always like it when theme clubs change gears a bit to produce something uniques in addition to their other themes. 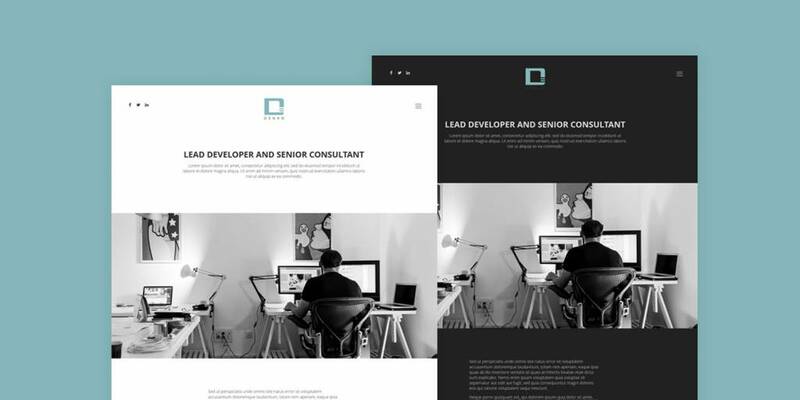 Denko WordPress theme should be available for the market within coming 2 weeks. thanks for comment. We strongly believe we’ll manage release the theme for the market within coming 2 weeks. Is the theme free for AIT members? thanks for asking. Yeah, all members (with subscription active Full or Lifetime) will get all the new products that we are intended to release for the market. Any update on this one? Likely to be released soon? thanks for asking. We apologize for delay due to some unexpected issues we have encountered during the last testing of the new theme. We’ll do our best to solve all of the troubles. Consequently we’ll release Denko theme for the market asap.